The threshold door gasket is one of the most important seals on a door. Not only does it keep insects and rodents from entering your home, it also keeps drafts and the weather out. The door threshold seal, commonly referred to as a sweep, has two to four flexible rubber flanges that are attached to the bottom of the door. When this seal goes bad, only the seal needs to be replaced. Threshold gaskets seal gaps in your door. 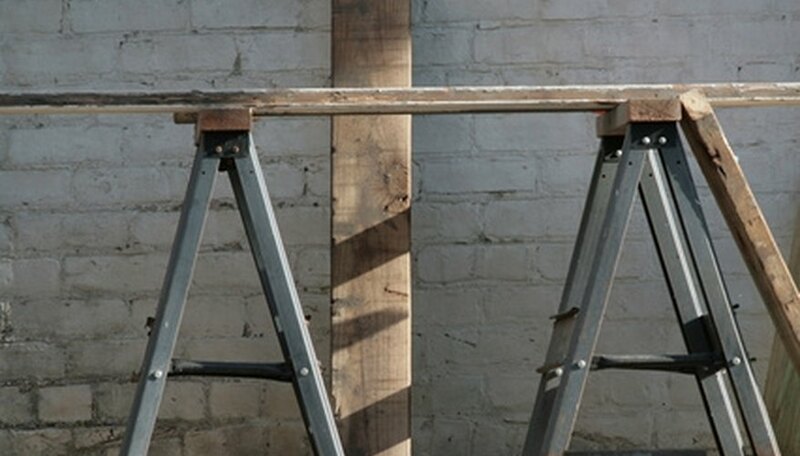 Place a pair of sawhorses outside and make sure they are set up so that the door can be laid flat on top of them. Take a screwdriver and insert it into the bottom of the pin on one of the hinges. Use your hammer to pound on the top of the screwdriver to force the hinge pin upwards and out of the hing. Repeat this process for the rest of the hinges. It is important to keep the door closed while removing the hing pins so that the door or floor is not damaged. Open the door slowly and pick and slide it over the side to remove it from the hinges. Set the door on the sawhorses. Inspect the threshold seal on the bottom of the door. Remove the strip by removing the screws on the bottom of the door and sliding the threshold seal out of the channel that holds it. Slide the new threshold seal into the channel and re-insert the screws to lock it into position. Remove the door from the sawhorses and take it back into the house. Set the door back onto the hinges, inserting it in the closed position. Re-insert the door hinge pins using a hammer to pound them all the way back into place. Open and close the door to see how the seal affects the operation of the door. 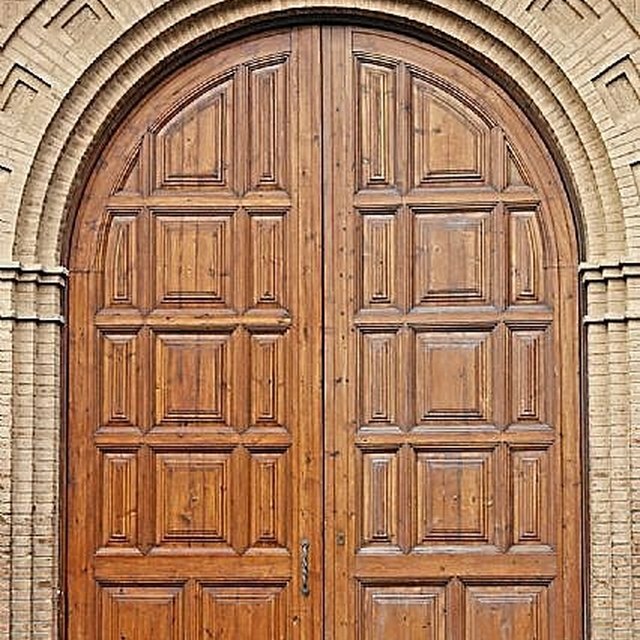 The door should open and close easily. If the door does not close all the way once the seal is on, adjust the threshold downward with a screwdriver. You will not need to adjust it much, but some fine-tuning may be necessary for proper operation. Entry doors can be heavy. If you have back issues or cannot comfortable lift over 75 lbs., you will need a partner to take the door off and put it back on. Adam Yeomans has been writing professionally since 2010, with his work appearing on websites such as eHow. He works in the construction industry as a builder and as an energy efficiency consultant.